The Malampaya Deep Water Gas-to-Power Project formally opened the Malampaya HSSE Training Center at the SITE Skills Training Center in Clark Freeport Zone, Pampanga on Friday, September 13, 2013. The facility offers world-class trainings on Health, Safety, Security and Environment (HSSE) to equip local workers with competencies necessary to execute fabrication yard and offshore work for Malampaya Phase 3 (MP3) efficiently and with no harm to people and the environment. The MP3, together with Malampaya Phase 2 (MP2), are the next phases of development of the Malampaya Project’s gas advocacy. 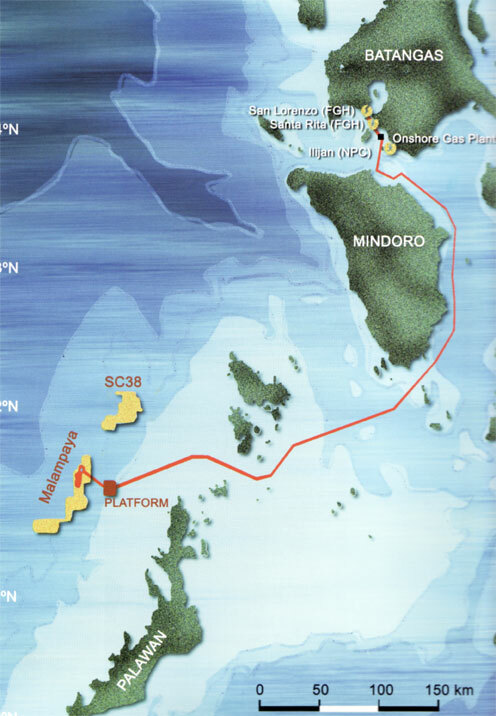 MP3 involves the installation of a Depletion Compression Platform to sustain the level of natural gas production from the reservoir in northwest Palawan using deepwater technology. The energy chief called the Malampaya Gas Project “one of the country’s premiere ventures in addressing energy security.” It is one of the most significant industrial endeavors in the Philippines which promotes gas advocacy by utilizing innovative gas technology to develop cleaner-burning natural gas sources for power generation. More than providing power, Malampaya also facilitates the transfer of technology and industrial expertise to Filipinos to help upgrade the country’s capability to compete with global standards of industrial and technological self-sufficiency. “As we open this center with great aspirations and hope, it is my ardent wish that you take this opportunity and use it to propel our common purpose of a high level standard industry and workforce. Armed with great vision of energy independence, I am certain that together, we can accomplish great things and pilot our country to greater heights,” Petilla said. Aside from enhancing employability, a principal aim of the training center is to promote the wellbeing of people by imparting the core values of HSSE. “Apart from the immediate training needs of the Project, the facility aims to raise the HSSE standards in the local workforce while helping enhance their employment opportunities in both local and international oil and gas industries,” said Neil Burton, Malampaya HSSE Lead. The Malampaya HSSE Training Center is located within the SITE Skills Training Center, owned by Australian firm SITE Group International Limited—renowned as one of Asia’s premier training facilities. One of its key beneficiaries are scholars of the Bridging Employment through Skills Training (BEST) program, implemented by the Malampaya Foundation, Inc. (MFI), Malampaya’s social arm, which provides skills training to unemployed individuals and out-of-school youths from Palawan and Subic. Since the center’s inception in September 2012, close to 3,000 workers have benefited from its trainings. BEST Palawan scholars who are ‘graduates’ of the center and presently employed at the Keppel Subic Shipyard as part of the MP3 Project were honored at the event by Petilla and executives from the Malampaya Joint Venture partners, SITE, Keppel Subic Shipyard and MFI. Honoring BEST scholar Bebian Batul [far right] with a certificate of recognition are [from r-l] DoE Secretary Carlos Jericho Petilla, Shell Philippines Exploration, B.V. (SPEX) Managing Director Sebastian Quiniones, Malampaya HSSE Lead Neil Burton, SITE Group International CEO Vernon Wills, Keppel Subic Shipyard President Leong Kok Weng and Malampaya Foundation, Inc. (MFI) Executive Director Karen Agabin.